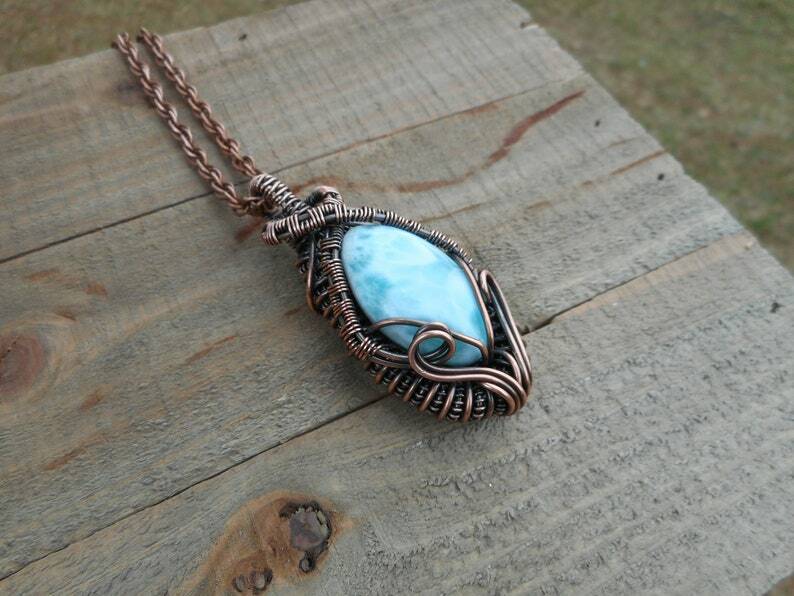 This listing features a Larimar that has been wire wrapped with copper wire. It measures 57x25x14mm and it hangs on a 22” copper chain. The copper was aged and sealed with protectaclear. This necklace will be shipped ready of gifting.